Whether arriving or departing, check these items off your NYC bucket list. All photos by Regan Stephens. When your time as a NYC resident is coming to a close, it's a good idea to act like a tourist. Before moving out of town, writer Regan Stephens took one last lap through the city. Here's her Big Apple finale. NEW YORK CITY – "We should buy this house and then we can stay in Brooklyn." Our four-year-old fanned her hand, Vanna White-style, across a newly built townhouse on our street, on the market for a startling $9.9. (That's million.) The foundation was poured on a tetrad of these palatial homes around the time I found out I was pregnant with our second daughter, and as both were in the creation stages, coming to life with handcrafted oak staircases and marble tubs, fingernails and eyelashes, two things became clear: We were outgrowing our garden-level apartment as our Boerum Hill neighborhood outgrew us. We set our sights on a new city while also setting out to soak up the last fun moments in our dwindling months as New Yorkers. Even after living here for the better part of fourteen years, there's a seemingly infinite list of things unexperienced — old spaces injected with fresh perspectives, revelatory new restaurants, Hamilton. So with careful consideration, we compiled a bucket list we called the #byebktour and, taking ample breaks from packing up our lives, got to it. The list was broken up into With Kids and Without Kids, and included a mix of iconic NYC tourist staples and things that were more locals-only, things we somehow hadn't yet managed to do, and things we've loved so much we wanted to share them with our kids. While unpacking boxes in our (comparatively) sprawling new Philadelphia home, our older daughter asked if we ever finished the bucket list. We didn't, I told her, but we'll be back. The beauty of NYC is that there's always more to see. Deep sea adventures with the whole family at the Sea Glass carousel. Opt for any other time but rush hour to board the free ferry with priceless views of the Statue of Liberty and city skyline from its five-mile route through New York Harbor. 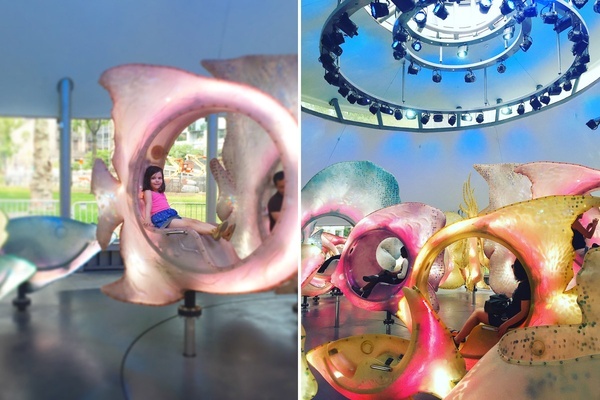 After the return trip, walk a few minutes to nearby Battery Park and take an ethereal spin on the underwater-inspired ride with serene classical music piped into each pastel fiberglass fish. 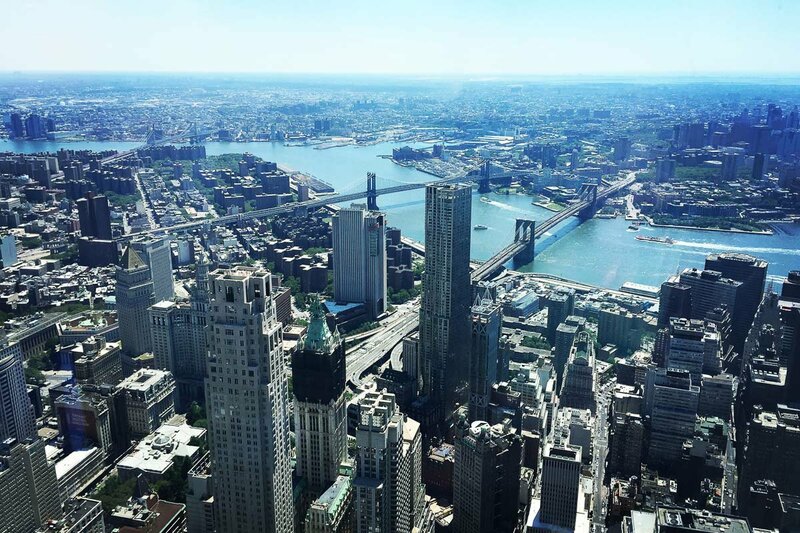 Tickets are pricey (from $34, kids under 5 are free) but the panoramic views of New York City from the tallest building in the western hemisphere are unparalleled. Plus the elevator ride is like something out of Charlie and the Chocolate Factory, zipping up to the 102nd floor in under a minute. In a city with no shortage of top-notch pies, Joe's is an institution, offering always hot, always delicious slices from its small Greenwich Village shop. While we've been countless times, including many pre-child late-nights, the girls have never been. Both approved, and the baby particularly loved the chewy, slightly charred crust. You could spend months exploring the city's famous park, but we focused on climbing the bronze, interacting with sea lions at the, and on the pond near the Kerbs Boathouse. 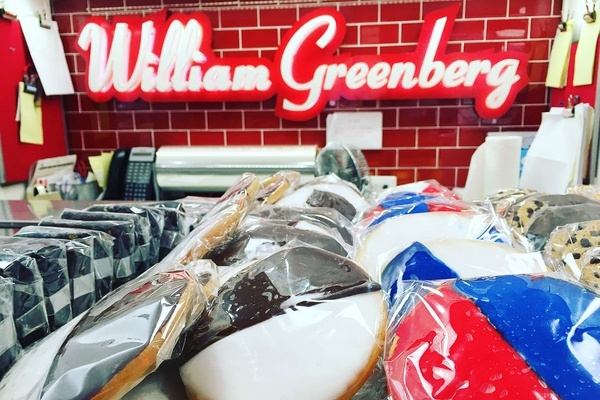 Unleash your inner cookie monster at William Greenberg on Madison Ave.
As members, we've gone alone and with the girls often, but the collection is so vast and ever-changing that it warranted a spot on the #byebktour. We arrived when they opened to have the roof, with Cornelia Parker's PsychoBarn, practically to ourselves — all the better to get the full sense of its juxtaposition against the Manhattan skyline. Other kid-friendly highlights included the Manus x Machina exhibit, showcasing Fashion in the Age of Technology (the intricate, costume-like frocks inspired some post-museum sketches from the four-year-old) and the Egyptian galleries, including the ancient Temple of Dendur from 10 B.C. After the museum, we walked a few blocks to for a few of the city's best black & white cookies. There's nothing in NYC quite like traversing the East River over the iconic bridge from Manhattan to our beloved borough. Stop in the center to get a good look at the harbor, Governors Island, and Lady Liberty, and head for when you arrive to see the very best views of Manhattan from Brooklyn. 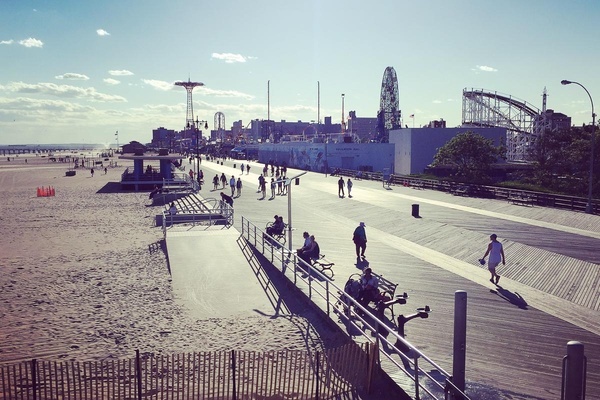 Intrepid walkers should start at Pier 1 and amble along the path to Pier 6, stopping at Pier 5 for an cone. Get your fill of the beach, just outside the big city. On New Year's Day, thoroughly bundled, we watched the brave souls of the disrobe and dash into the frigid ocean. Months later, we returned to ride the nearly 90-year-old wooden coaster, the , eat a hot dog, and plunge ourselves into the marginally warmer waters. 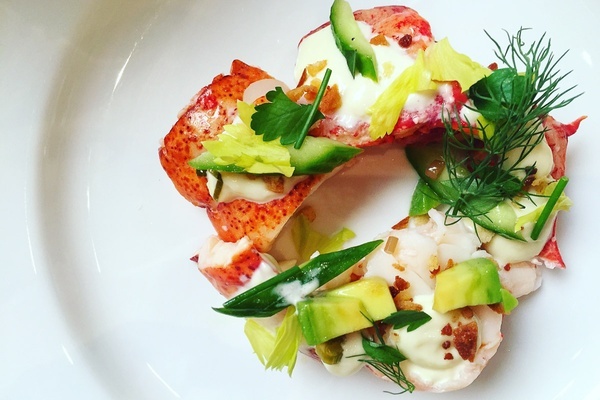 Since opening in its new space in the Meatpacking District in 2015, the is neighbors with . We love to visit the kid-friendly Whitney right at 10:30 a.m. before it gets too crowded — the views from the spacious terraces are as mesmerizing as the American art within. After, we either have a sit down lunch inside the museum at Danny Meyer's (the dishes are as beautiful as they are delicious) or head straight to the elevated park, an entrance just steps away on Gansevoort Street, to find impeccably cultivated gardens, a stretch of food stands, and plenty of cool public art. At 122 feet long, the Titanosaur is so big it doesn't quite fit in one room. Greet it head first, popping out of the dark, expansive room that holds the rest of its bones (a cast made from its original fossil). After getting our fill of fossils (and mammals, and butterflies) we stop by for another cookie, this time the city's best chocolate chip. Each one is the size of a fist, and the inside, slightly under-baked, is warm and melty. Unless you're a diehard cosplay enthusiast, skip the Sakura Matsuri festival (the crowds are overwhelming) and just keep refreshing on the Brooklyn Botanic Garden website. Go during "peak bloom" and find an empty patch of lawn in the Cherry Esplanade to sit and admire the clouds of pink petals. Without the kids, it's even more decadent at Del Posto. Living in NYC, we've been spoiled by the sheer volume of incredible food, from cheap eats to world class fine dining. We chose two iconic NYC destinations for the list: and . Del Posto feels like stepping back to a time when dinner (or lunch for that matter) was an event. Experience impeccable service while a pianist plays enchanting tunes in the vast and elegant dining room. And since it's a Batali and Bastianich restaurant, the pasta is handmade and heavenly, and their "bread course" — a warm and crusty baguette-for-one served with a ball of cultured cream perfectly whipped with creme fraiche — is alone worth the prix-fixe. Uptown, tables at Per Se overlook Columbus Circle and each bite of the multi-course meal is better than the last. As it winds down, look forward to the box of 20-some different varieties of handmade chocolates, each a varying vibrant shade, in flavors like pistachio and toasted sesame. After more than 20 years in business, this speakeasy hidden behind an East Village Japanese restaurant is hardly a secret, but with candlelit tables and exceptional, inventive cocktails, it feels special and insider-y nonetheless. Look, if there's any legal way you can score tickets to Hamilton without risking your mortgage payment, you should do it. But even if you don't manage to be "in the room where it happens," see another show on Broadway. Whether a play or musical, it's an electric, life-affirming experience to share a small theater with such talented performers. A NYC institution, Jerry Seinfeld, Louis C.K. and Amy Schumer have all performed here. Watch up-and-coming comedians (and some familiar faces) tell jokes while sipping bad cocktails in a dimly lit subterranean space. Fair warning: If you're seated at a table in the front, be prepared to get picked on. (Judah Friedlander roasted my husband for wearing the button down shirt I asked him to wear. Oops.) It's all in good fun. Score free tickets in advance to The Late Show, , or any of the other only-in-NYC shows that film with a live studio audience. Watch when it airs and try to pick out the sound of your own clapping. Regan is a freelance writer and brand new Philadelphia resident. Say hi on Instagram . She travels for the life-affirming thrill of stepping out of her comfort zone. And for the ice cream.